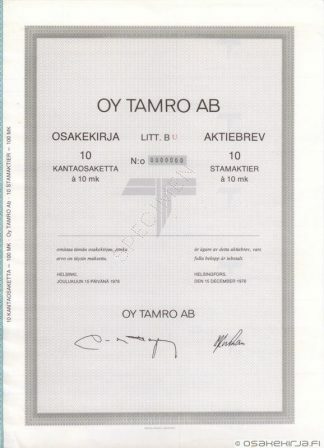 “Publishing house of Tampere Ltd”, since 1988 called as Aamulehti Ltd.
Aamulehti Group was a newspaper publisher and printing house located in Tampere. 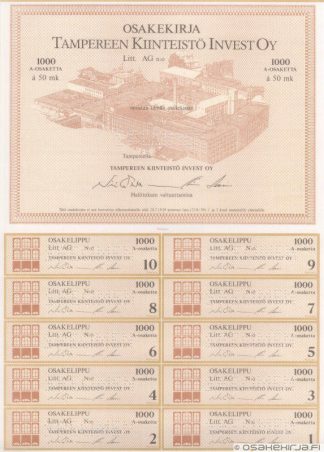 The company was founded in 1881 as Tampereen Kirjapaino and the first number of Aamulehti was released in December 1881. 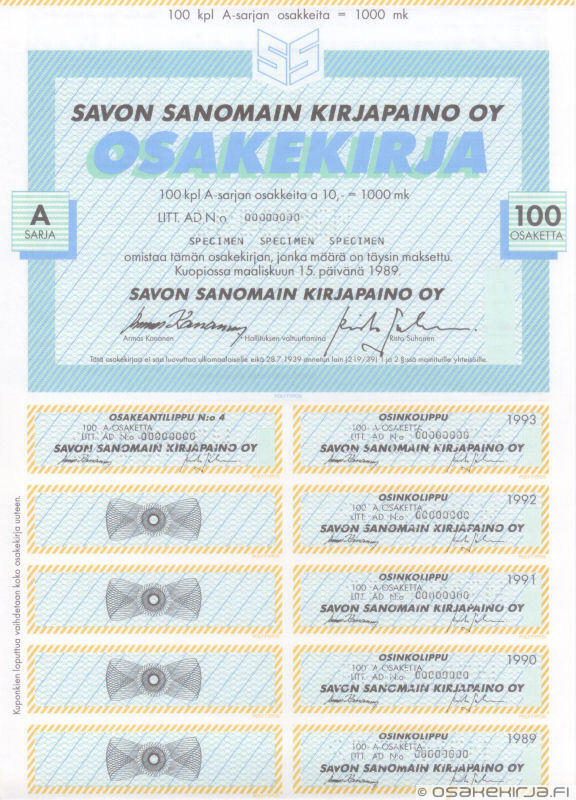 In the 1980’s and 1990’s several other regional newspaper publishers were bought. 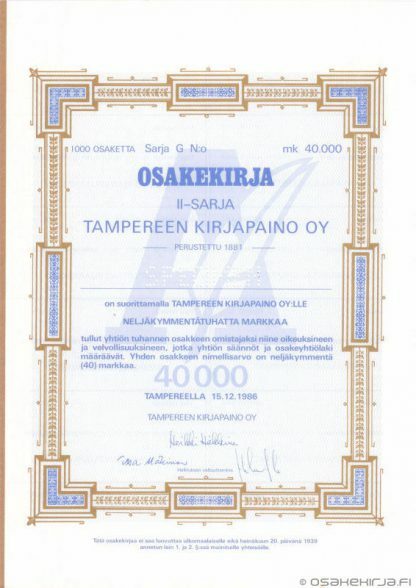 The most notable ones were mergers with Uusi Suomi and acquisitions of Lapin Kansa in 1995 and Satakunnan Kirjateollisuus in 1996. The company was merged with commercial TV channel MTV Ltd in 1998 and the combined company took name Alma Media, which is still active. Aamulehti newspaper is also still released and it’s the second largest 7-day newspaper in Finland. The share of Tampereen Kirjapaino / Aamulehti was listed in the Helsinki Stock Exchange from 1981 to 1998. The share of Alma Media Ltd is still listed. Nature of business: Publishing of books and newspapers, printing house.